Where most people see wooden furniture, doors and windows that are past their sell-by date - we see an opportunity to reincarnate these pieces and revive their classic beauty that has been forgotten, says Wood Strippers owner Wytze Voerman. This year marks the 20th anniversary of Wood Strippers, after Wytze launched it in 1990. As with most successful businesses, Wood Strippers came to be out of necessity, love and passion. 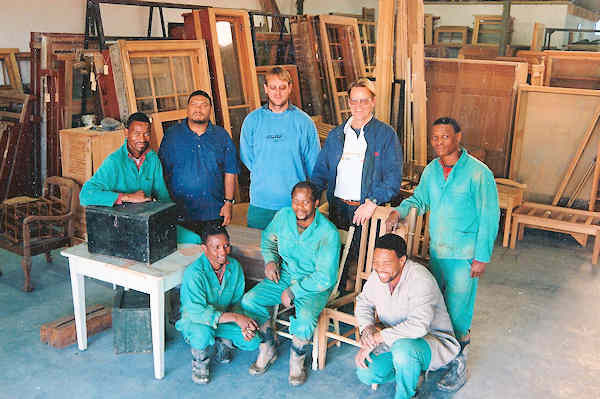 After being retrenched, Wytze's path led him to open the wood restoration company. His passion for wood began as a teenager in Haarlem, in the Netherlands, where his grandfather was a professional restorer of 16th century buildings. Wytze was captivated by the rich smells, as well as the intricate tools used in his workshop. Since its launch, with its original name Strippers - we bare wood, the company has grown tremendously from its cramped corner shop in Wynberg to its landmark location in Wetton, which it has occupied since 1999. The new showroom reflects the capabilities of furniture restoration and architectural recycling now offered by Wood Strippers. Wytze extends his gratitude to all clients who have given Wood Strippers such tremendous support through the years. Wood Strippers follows a simple approach to restoring any item. Firstly, it removes all old coatings applying it unique wood-stripping process. Only after carefully revealing the condition of the wood beneath will Wood Strippers be able to discuss an item's restoration potential with clients. If an item can be effectively restored, the company then explains to clients the various finishes and textures available for the desired look and feel of the restored wood. Finally, Wood Strippers expertly repairs and restores an item to its former glory, ensuring high-quality craftsmanship and finish. With stripping, repairs and building, all part of the function at Strippers, clients can rest assured the best job is being completed and the premium standard is being met. In the current day and age where restoration and recycling is key to the environmental race, Wood Strippers leads with its modern take on restoration. The company has also proven to be an ideal place for architects looking to use recycled wood and adapt a more contemporary and current use to the material. 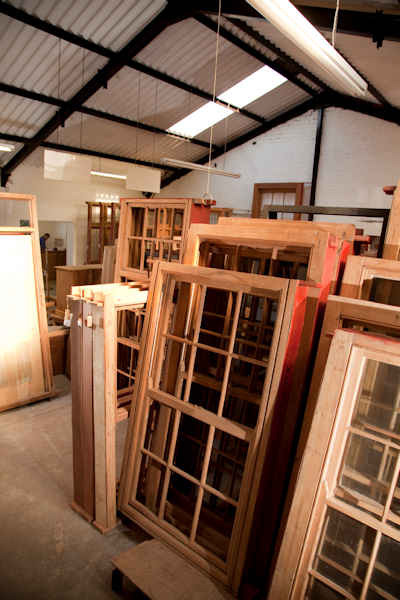 Strippers- which operates in the field of stripping paint and varnish off wood, and buying and selling Victorian doors and windows - is celebrating its tenth birthday. The company was started by Wytze Voerman in the late eighties. During a period of difficult employment circumstances he found himself retrenched from the computer industry and opted to pursue a non-computer, labour-intense activity in order to generate an income and secure a future. Handing over the role of breadwinner to his wife he searched for possibilities and found that stripping wood appeared to be in demand. Making use of many contacts in the paint and chemical industries he developed a basic chemical-tank stripping system, which purposely did not make use of aggressive chemicals such as caustic soda, to preserve the integrity of the timber. Having decided on the basics he proceeded to invest in equipment and working space, frivolously combining the experimental and scientific stage with the commercial stage in an attempt to get going in the shortest space of time, going public in early April 1990. In due course the stripping system was perfected by gradually improving the chemical and handling methodologies. This culminated in the process unique to Strippers. Dedicated training of personnel took place and important experience in the field of restoration was accumulated. Specialist functions were assumed by Wytze, his son Robert and assistant Quinton. Important obstacles were overcome by gaining approval from the Municipal Council and the Department of Labour, who were concerned with the health and environmental impacts of this new-fangled system. "Now we can claim that we achieved a vast improvement over the combined negative impact of all the stripping that would have been done without us over the past 10 years," says Voerman. Strippers has recently acquired its own building, which was specially adapted for its unique process. This has brought further stabilization of costs - everything is done to keep the price of stripping affordable in spite of local and international run-away price increases. The commercial style of Strippers has been based on being market driven, and the company has developed according to the demands placed on it by the majority of its customers. Says Voerman: The result is a focus on a narrow filed of specialization - in itself unusual in our market - with high standards, dedicated service, punctuality and customer interaction as may be expected from a company based on internationally acceptable business philosophy. In spite of that Strippers may not be perfect, but we damn well try. The same philosophy will guide them in the future. "Clearly a demand for geographical expansion is recognized - both the stripping operation as well as the procurement of old-style building materials would benefit from wider access to an otherwise relatively small market. According to Voerman it will remain the ultimate goal of the company to provide customers with the best service possible within the scope of this specialized field, to give its customers help and reference beyond that field, and to remain tuned to the expectations which are placed on the company.